Molly: To know her was to love her. However, musical challenges are another story. Recently, a friend sent me a link to a record he had just recorded. But it wasn’t your regular ole recording. Well, it was a recording, an album actually, but this album was produced for something called The RPM Challenge via NPR Music. The gist was this: you had one month–February 2013 (28 days)–to write and record a record of all new music. 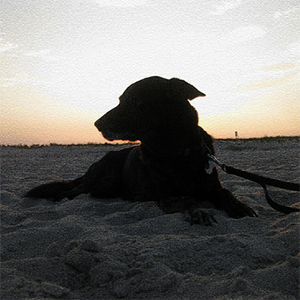 My friend (whom I must disclose I played in a band–The Black Hand–with a few years back) goes under the moniker of Existian and he recorded a “concept/tribute” album about his recently deceased and beloved dog Molly. It’s a sad and beautiful album at the same time. 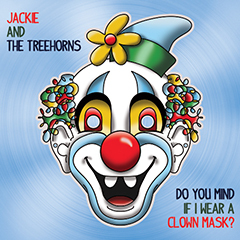 With song titles such as “Sweet Molly (I Still Love You)”, “Molly”, “Molly, My Dear”, and “You’re Not There Anymore”, you understand the head space this album will put you in. Anyone that has ever owned and lost a pet knows the heartbreak it can bring. While the world has heard thousands–if not millions–of songs written about love lost between humans, I don’t think the loss of a pet ever touched the sketch pads of Roger Waters or Pete Townsend for a potential concept album idea. Lucky for us, Existian beat them to it. The record starts with a few retrospective, delicate acoustic numbers before kicking into second gear with folk rocker “Molly, My Dear”, one of the few tracks that contains drums and bass. Next up, “You’re Not There Anymore”, contains psychedelically panned distorted vocals and PJ Harvey-esque guitar lines. “Fort Belvoir, VA” spins tales of Existian and Molly’s time together and acts as the albums clap-along campfire tribute. The instrumental “Molly vs. Maynard” is a mid tempo, organ-laced rocker that sequences into the sad tale of Molly’s last moments in “Through The Glass”, where Existian speaks of seeing her sad face through the window and whispering his last words to her. The album closes with “Stay”, a downbeat, final declaration of love and apologies to the fallen canine. Molly lives on in the heart and mind of Existian and his record explores the various emotions that come with loving and losing a pet. It’s a dramatic homage that takes the listener down many paths but always maintains an uplifting outlook. It’s not so much about the loss of Molly as it is remembering their good times together. The songs celebrate her life instead of agonizing over her end.